Pick up a Park Programme under Main Street Station or inside Disney Studio 1 between tomorrow and next Friday and you’ll now get a little more than just the latest show and parade times. This week’s guide has gone full-colour with a New Generation Festival theme and extended in size to feature a new discount voucher, offering a 20% discount at selected restaurants. Valid before 12pm and between 2.30pm and 6pm each day, the special discount can be used at Cowboy Cookout Barbecue, Fuente del Oro Restaurante, Restaurant Hakuna Matata, Colonel Hathi’s Pizza Outpost, Café Hyperion, Au Chalet de la Marionnette, Toad Hall Restaurant and Plaza Gardens Restaurant in Disneyland Park, whilst your choice in Walt Disney Studios Park is between Disney Blockbuster Café and Restaurant des Stars. Disneyland Paris park guides have always contained a little tip that guests should try to dine during these “off peak” hours for shorter queues, but this is the first time Disney has offered such a tempting bonus for doing so. The savings could be big, especially if you’re with a family. Four people taking the €23.70 Buffet menu at Plaza Gardens Restaurant, for example, would pay €75.84 rather than €94.80 — a considerable saving of €18.96, especially if you’re having to use the still rather unforgiving Pound/Euro exchange rate. 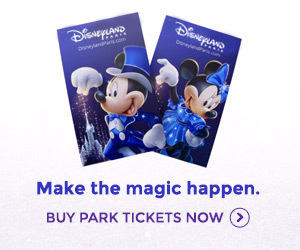 And if you’re going to take advantage, did you know DLRP Magic.com now has fully up-to-date complete menus for all those restaurants listed above? Take a look! Good to see them experimenting this offer and other offers should be aimed mid week such as buy 50 euros merchandise in selected stores and get a free gift. In January they were offering a Mickey and the Gang soft blanket for € 10 if you spent € 30. The blanket is usually € 18. Are they still doing this offer?